Flexible 'L' plates with strong magnetic fixings. Easy to fit and remove. Weatherproof and tear resistant. Reflective folding triangle for warning other road users of a potential hazard. 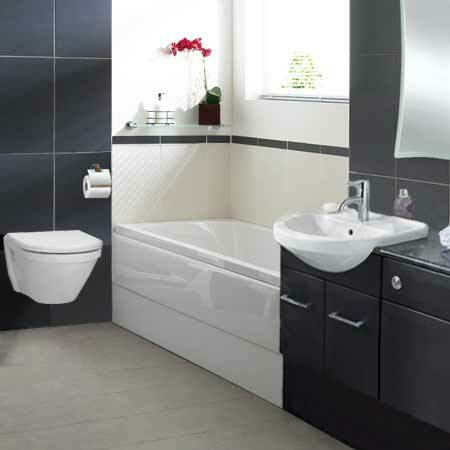 Conforms to European Standard ECE27. 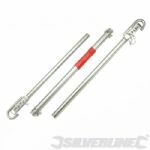 Sturdy pole enables safe and secure towing of most vehicles up to 1800kg. 1.8m overall length, breaks down into 3 pieces for storage. 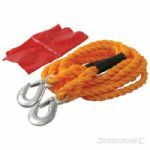 Rot resistant, poly braided tow rope with heavy duty forged hooks and plastic guards. 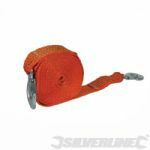 Rot-resistant tow rope with heavy duty, forged hooks maximum capacity 400kg. 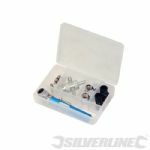 Includes valve repair and maintenance tools, neatly stowed in compact plastic storage box, solves most tyre valve problems. Essential for vehicle tool kit or garage.